Snoop Dogg poses in the press room during the 2017 MTV Movie And TV Awards at The Shrine Auditorium on May 7, 2017 in Los Angeles, California. Rapper and television personality Snoop Dogg has signed on to host and executive produce an updated version of the classic game show The Joker's Wild. Michael Strahan is also an executive producer on the half-hour show, which is to debut on TBS later this year. New challenges on tap for the reboot: 'Roach-ella,' 'Trap Queen,' and personal cell phone rescues at heights of over one hundred feet. Yikes! "When you hear the words 'game show host,' Snoop Dogg probably isn't the first name to pop into your head," Michael Bloom, senior vice president of unscripted series and specials for TNT and TBS, said in a statement Wednesday. "But it turns out he is a great fit that brings passion to this game show with a laid-back vibe to the casino-inspired craziness surrounding him. This is a labor of love for Snoop Dogg and Michael Strahan, and a perfect addition to TBS's comedy lineup." 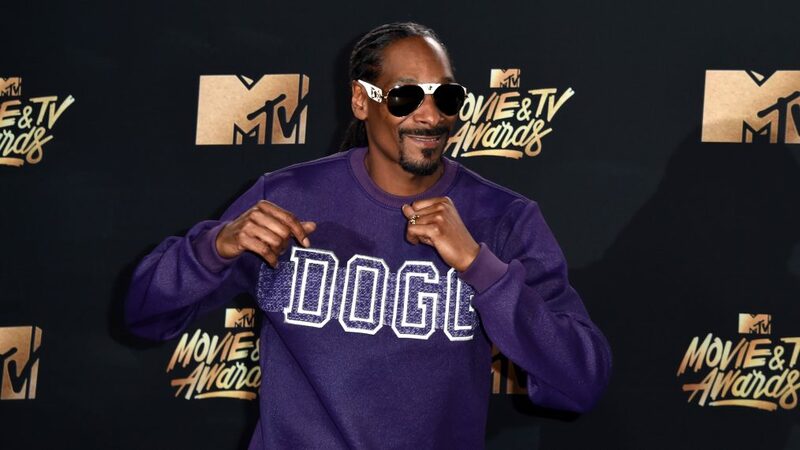 "I'm a huge fan of game shows and The Joker's Wild was my favorite show growing up," added Snoop Dogg. "It always matched the flavor and personality of Snoop Dogg! Me and the Snoopadelic team are excited to bring back the show and put my own personal touch on it. Get ready ya'll, it's gonna be a wild ride!"